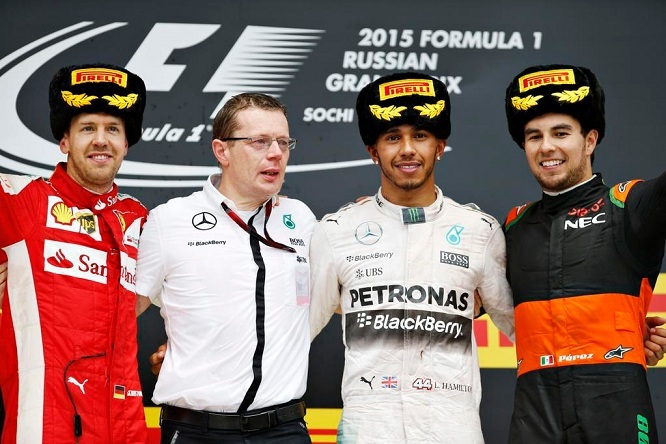 Second edition of the Grand Prix of Formula 1 in Sochi and second victory for our Luigino Hamilton. Let’s start with the comments from the drivers who say without too much shame that they do not like this track and that is just the usual tilkodromo (from the name of the designer of all the new tracks Tilke ndr) with the same curves of other tracks and that in terms of security leaves doubts. hunting for the podium despite some imprecision and distraction that cost him a better result which we believe deserved. 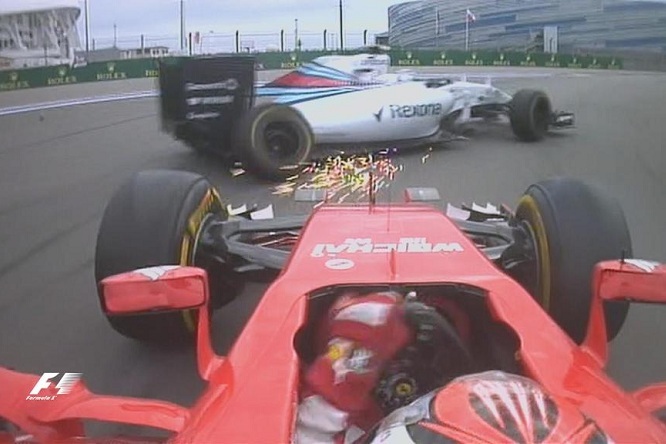 There were criticisms of his attempted overtaking of Bottas, for us it was just a racing incident, as also commented the team manager Arrivabene and the team Ferrari. We remember the race in Monte Carlo when Ricciardo did so and over Kimi, although with more luck because Raikkonen let it go, no one said anything. It is unclear why now that Kimi did the same he made insults, criticism and even a penalty that effectively gave the constructors’ title to the Mercedes. The survey on Sky, where people like us vote, decreeded Raikkonen the best driver on the track! What do it mean? The public wants to see the fight until the death, he wants to see the drivers bad and maybe see that is the pilot to make a difference and that the cars more or less are equivalent. Otherwise if at any overtaking or attempting to overtake must follow a process of intentions and a penalty we suggest to abolish direct overtaking on track and allow them only to the box. Then finally we close the Formula 1 and do another sport, fanta gp! Every season there is a car brand that is going great: Ferrari years ago or recently Red Bull and Mercedes, and then the others come about 20 second after. The fight for the championship is reduced so to the challenge between the two pilots of that best car and then slowly others follow, fight to get some points and finish second but that sport is it ??? Comment aesthetic: those bearskin hats blacks given to the top 3 on the podium you could not look, like that a couple of years ago given in Dallas!! We like hats that are the symbol of the pilots of Formula 1! Only touch of color is the soap opera Renault-Red Bull. Will our heroes of the Red Bull are able to prostrate low enough to apologize worthily with Renault and convince them to give their engines for the next season? Or will we lose Red Bull and Toro Rosso at once in favor of Haas, that for sure will make us dream?